To learn more about our AC services, contact Service Plus today at 317-434-2627. We serve the entire Greenfield area, from Windswept Road to 400 East and beyond! At Service Plus, we can work with you to find a system that meets your needs and your budget. We offer central air conditioners, heat pumps, and ductless mini splits from the top industry manufacturers. 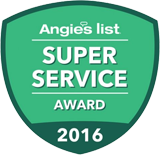 To learn if AC replacement is the best option for your home, talk to our experts today! Our professional, intricately-detailed installation process helps to ensure that your system will operate efficiently and reliably for many years with proper maintenance. Whether you live near Henry B. Wilson Park or State Street, our team at Service Plus is available for AC replacements anywhere in the Greenfield Area, as well as Hancock County and the greater Indianapolis area. In addition to AC services, we also offer heating, plumbing and indoor air quality services. To schedule an appointment or request a free estimate, contact Service Plus today at 317-434-2627!